Once you have selected text on your Samsung Galaxy Tab, it is primed for cutting or copying, which works just like it does in your favorite word processor. After you select the text, choose the proper command from the Text Selection toolbar: To copy the text, choose the Copy command. To cut the text, choose Cut. Just like on your computer, cut or copied text on the Galaxy Tab is stored in a clipboard. To paste any previously cut or copied text, move the cursor to the spot where you want the text pasted. 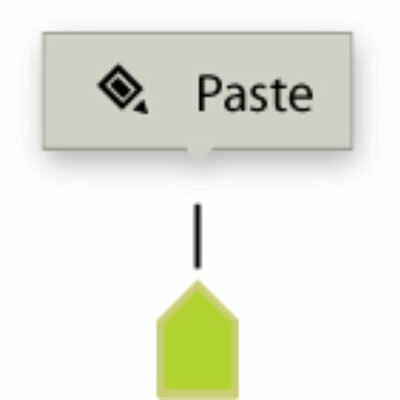 When you can’t seem to summon the Paste command button or it vanishes before you can touch it, long-press the text again. When the Text Selection toolbar appears, touch the Paste command. The Paste command can be anywhere text is input on the Tab, such as in an e-mail message, a Twitter tweet, or any text field. Then touch the Paste icon that appears. The Paste command button shows up only when there’s text to paste. You can paste text only into locations where text is allowed. Odds are good that if you can type, or whenever you see the onscreen keyboard, you can paste text.